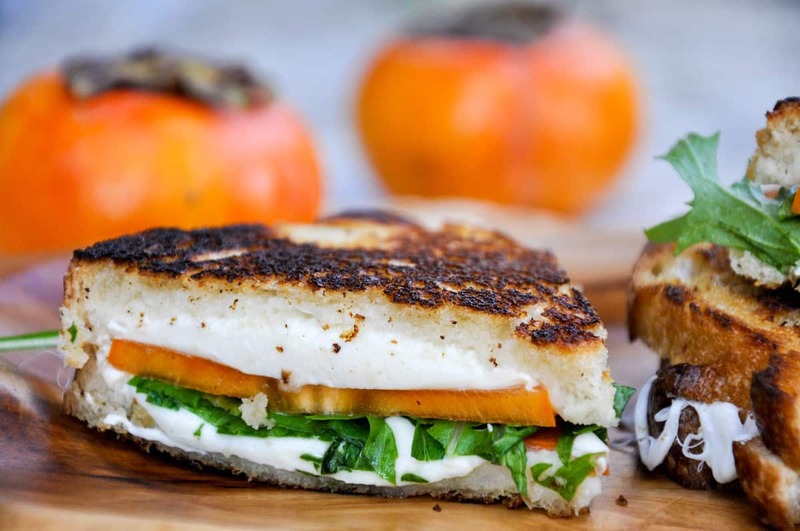 Persimmon season is here! And don’t blink, because it’s a short one. 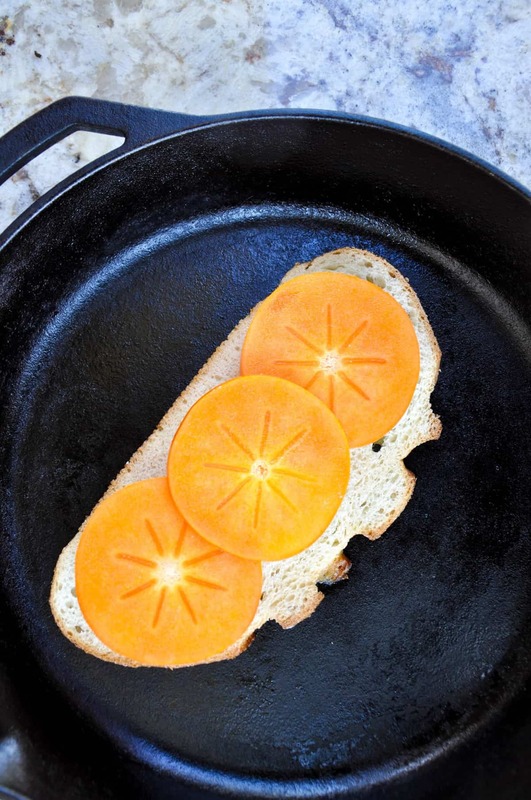 For most other states, persimmons can seem like an out-of-reach, exotic fruit that people only dream of getting their hands on! Here is your chance to take full advantage of this delicious, California native in an entirely new way this year. 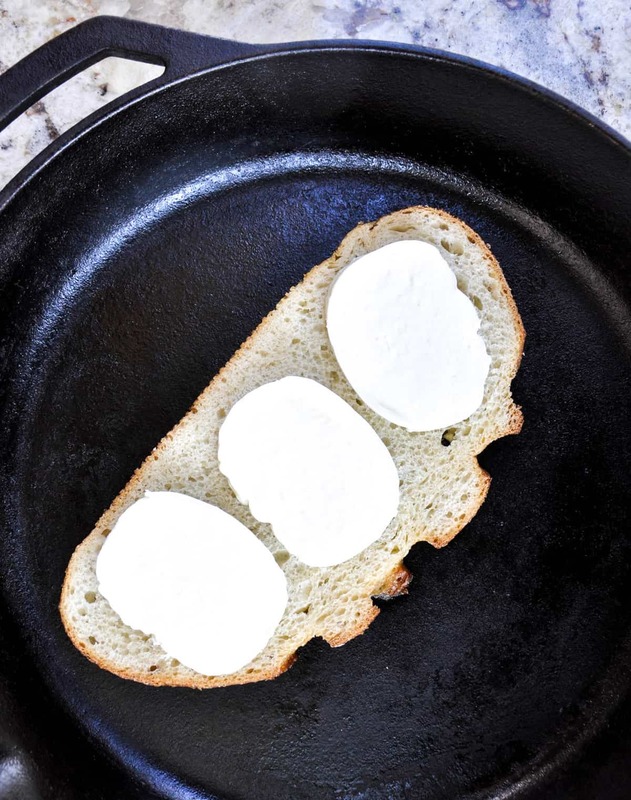 Add it to your grilled cheese! 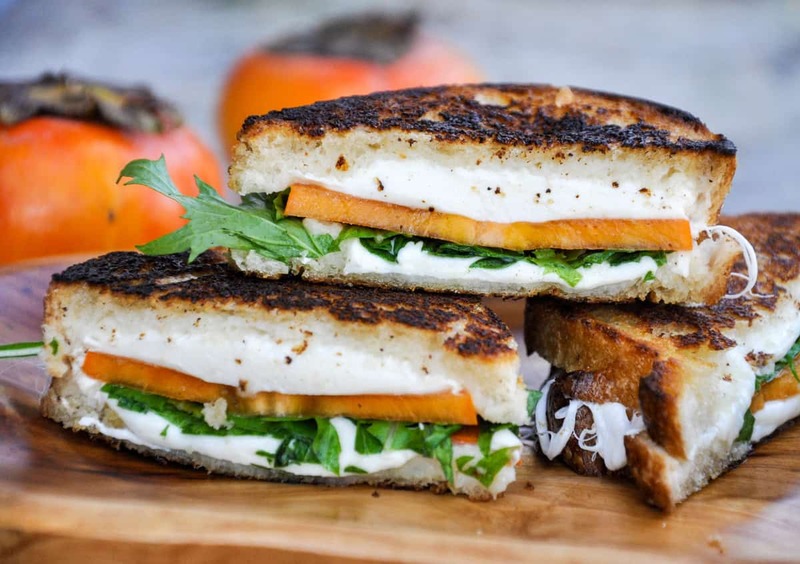 The persimmon lends a slightly sweet flavor and is the perfect compliment to the spicy arugula and salty cheese nestled between two pieces of fresh sourdough bread. 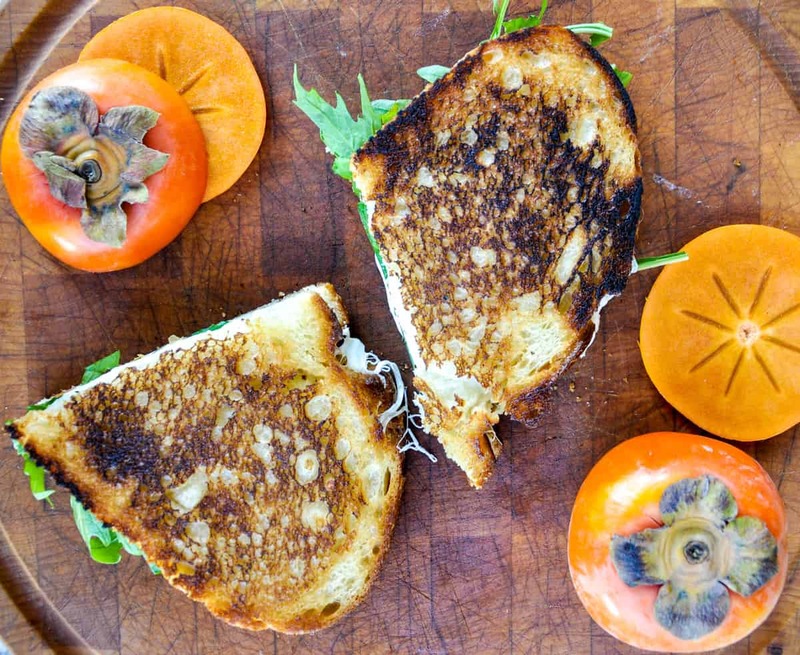 The persimmon’s texture is similar to that of a firm tomato, so don’t worry about it getting too soft in the sandwich. 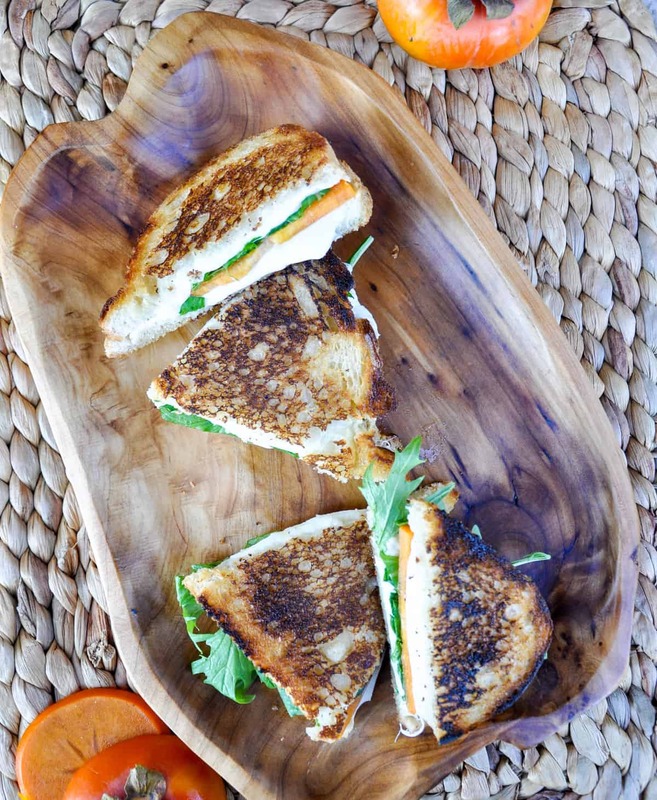 Gooey, crispy, grilled cheese goodness! 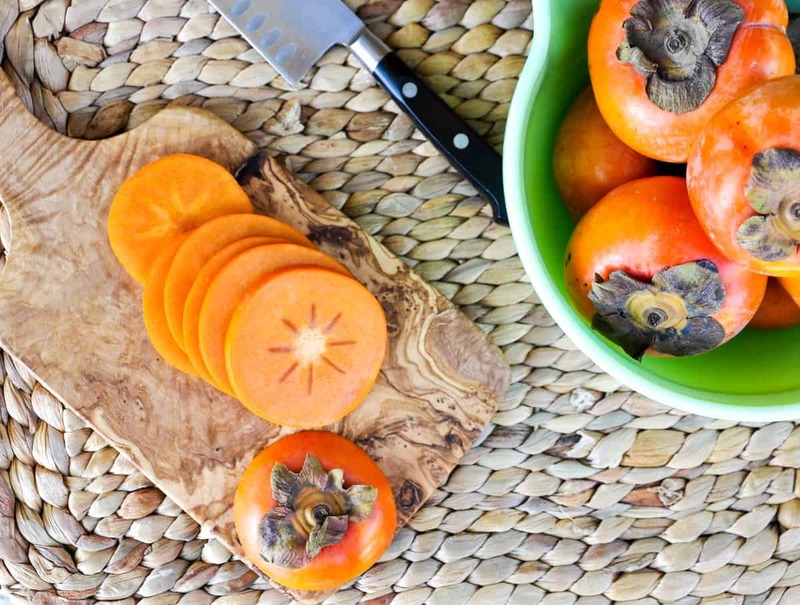 Of course, we started with fresh and firm Fuyu persimmons straight from California. I bought these at my local Costco. 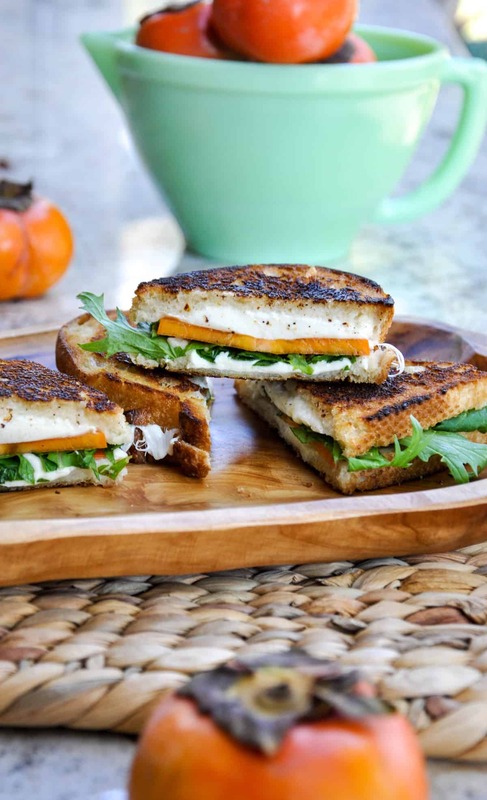 Once the cheese is melted, open the sandwich up and add the arugula. 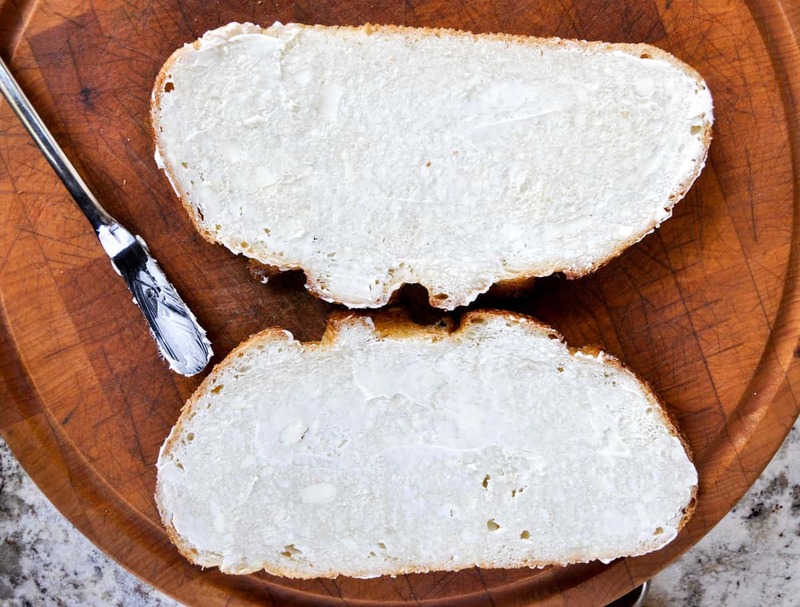 Close it back up and using a sharp knife, slice into handy sections. Two thumbs up for persimmon season!